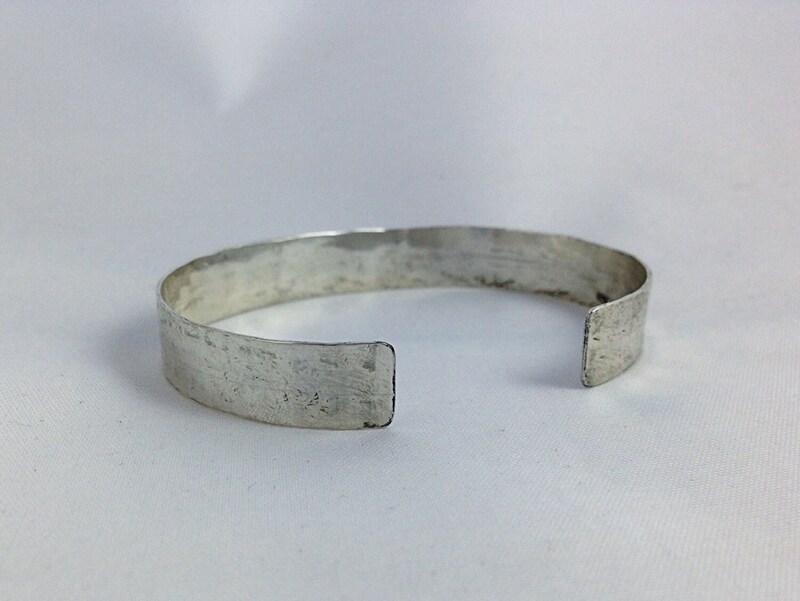 Here's an awesome lightweight sterling silver cuff bracelet for you or someone you love. Made of hollow sterling silver tubing which is hammered flat into a double walled bracelet, these make a comfortable and durable everyday bracelet. Personalized to say whatever you want it to say. 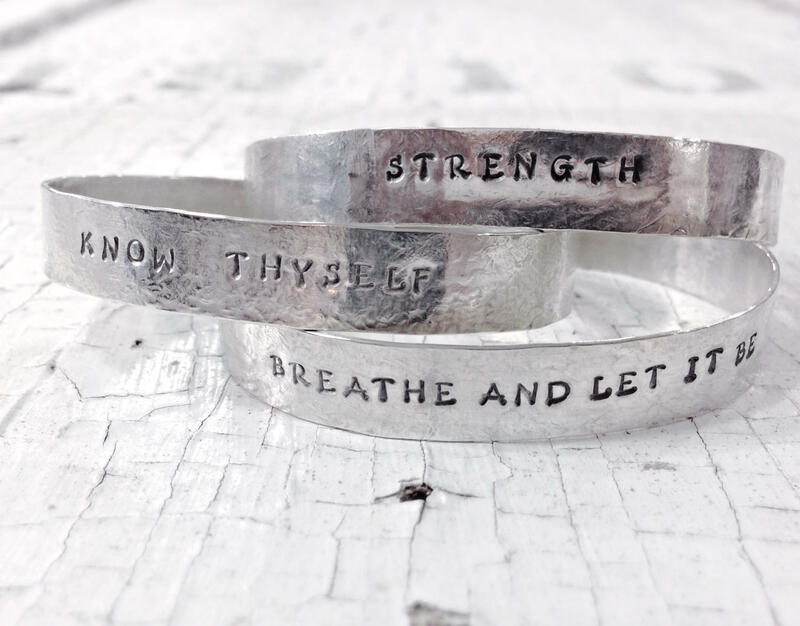 These make an awesome reminder of a favorite phrase or sentiment, and they also make a sweet and super affordable gift for a special guy or gal. Looks great alone or layered with other bracelets. This starts as pure sterling silver tubing, cut to size and hammered flat to form a double wall cuff. It gets stamped letter by letter and then carefully shaped into a cuff. After forming, it gets meticulously refined, filed and polished by hand, to ensure that it is absolutely comfortable to wear. *Please Note* This bracelet will be sized to a length of 6 inches which will comfortably fit a wrist measurement of 6 inches to 7 inches. If you need an alternate size, please message me before purchase and I'll be happy to help! This bracelet is made to order, the ones in the photos are sold and yours will be created just for you. 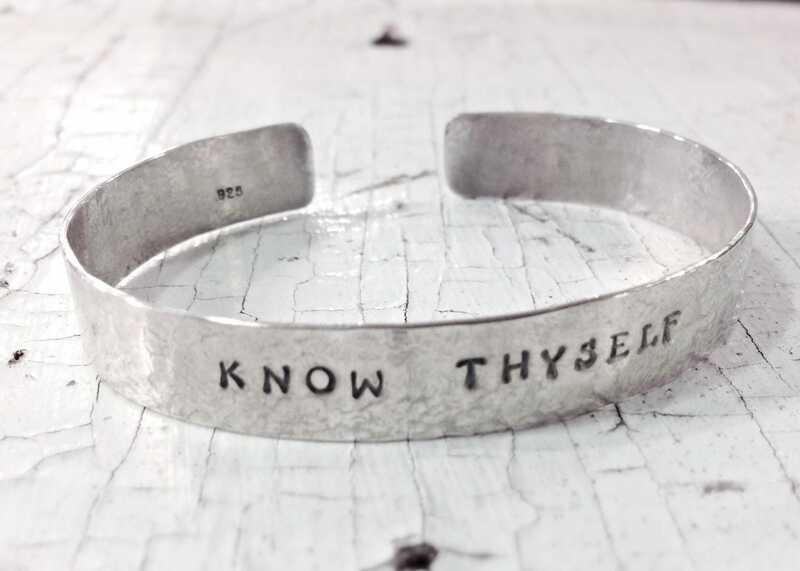 -Bracelet is made of solid sterling silver, hammered flat double walled tubing. -Lightweight and comfortable to wear. -Style is great for men and women. -Length of bracelet is 6" and will fit a wrist measurement of 6-7"
-Width is approximately 9mm (3/8") from top to bottom. 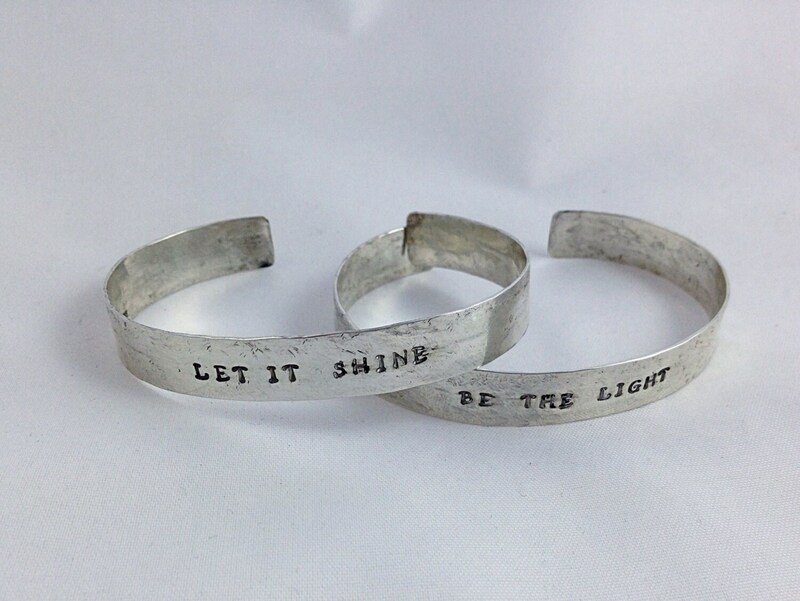 -Hand stamped on the inside or outside with your chosen stamping. You can put your favorite mantra, the name of someone special, a date you want to commemorate, GPS coordinates, a message about how awesome you are... you get the idea. -Enter your personalized message that you'd like stamped in the Personalization Box. If you have any questions at all, please message me and I'll be happy to help. 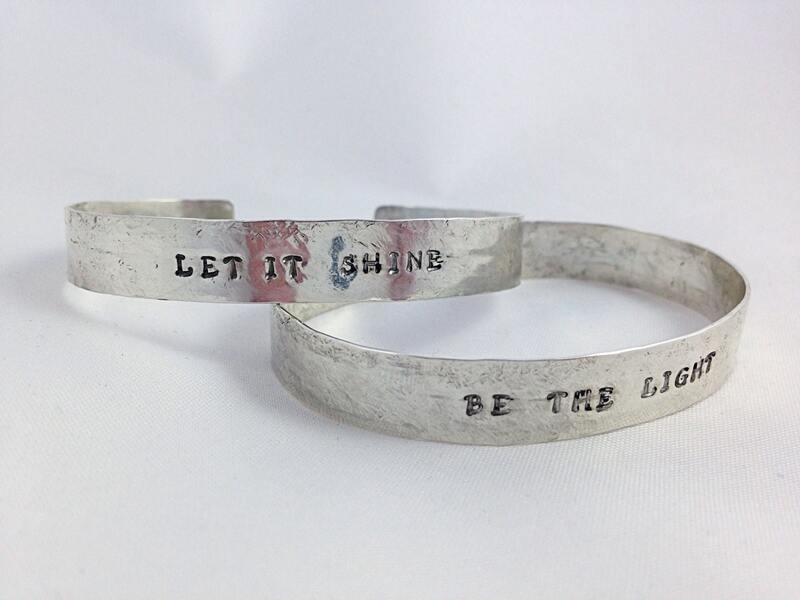 -Please keep your stamping at or under 40 characters (including spaces) on the bracelet as anything over 40 may not fit within the space. If you need slightly over, please message me so I can see if it will work. -Stamped areas get antiqued/darkened to make them pop but you can request I skip this step if you want the stamping to look more subtle. Thank you so much for visiting my shop! If you have any questions at all about sizing, about this design or any of the designs in my shop, please don't hesitate to ask!